The Wheelock College Aspire Institute is launching on an exciting new initiative to promote family-child engagement in math and science learning. 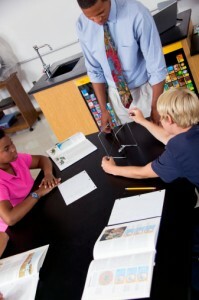 As Wheelock College’s social and education innovation center, the Aspire Institute is currently developing a web/smart phone application that provides accessible, engaging, and daily information in the area of Science, Technology, Engineering, and Math (STEM) to parents of third, fourth, and fifth graders. This application will place STEM learning at the fingertips of families and students! In order to create this application, they are looking for STEM content submissions from a wide range of contributors. They encourage students, teachers, college faculty, STEM professionals and anyone with a great STEM idea/activity to contribute to the exciting project. Submissions should be fun and engaging STEM factoids, activities or a question with a related activity that will encourage parent/student engagement. Click here for more info and details on how to submit your STEM idea!